Joris is a luxury French shaving razor and brush maker, owned by another French Luxury brush maker – Plisson. 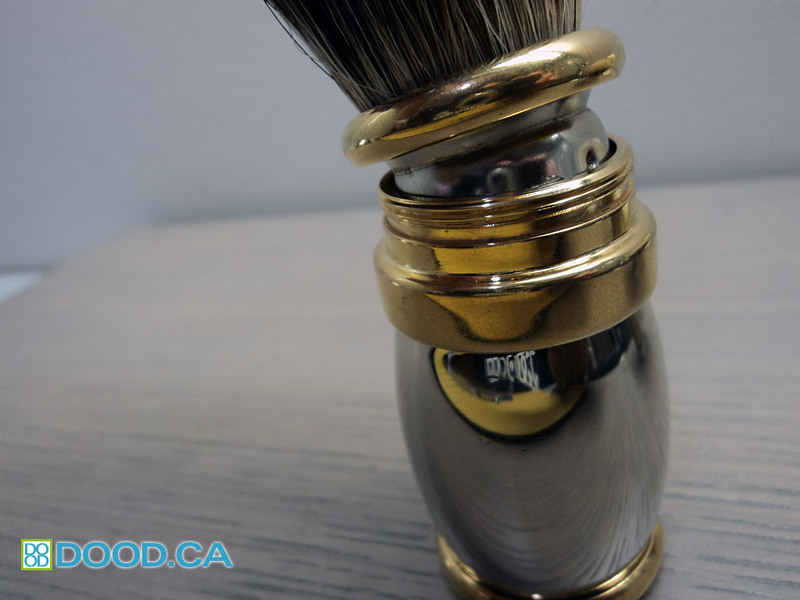 Joris has different designs and also has a very desirable line of straight and DE safety razors that are among the nicest you can buy. 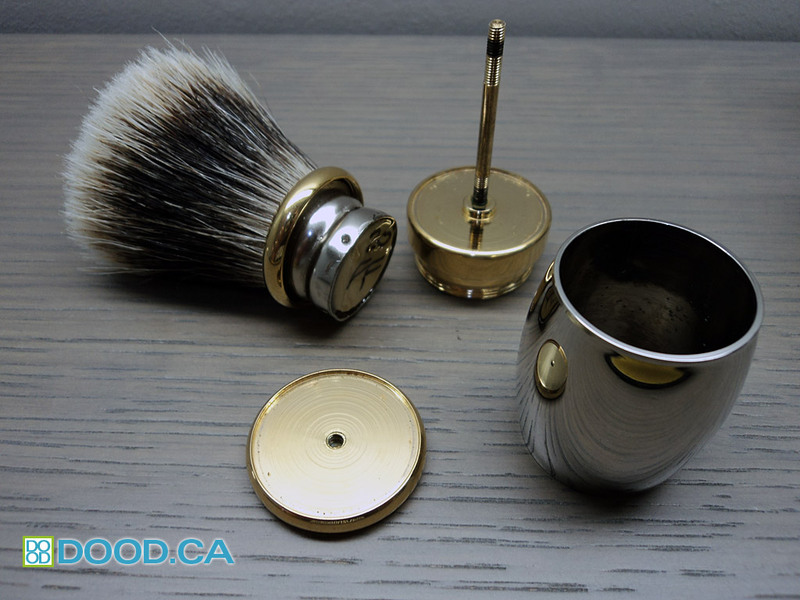 Their meticulously crafted shaving brushes are also nothing to sneeze at, and show some incredible attention to detail and fantastic construction. I was able to snag a dying Joris brush on eBay for a decent price and decided it might be a candidate for a re-knot. I wish I took some photos of the brush before I took it apart, but I forgot! 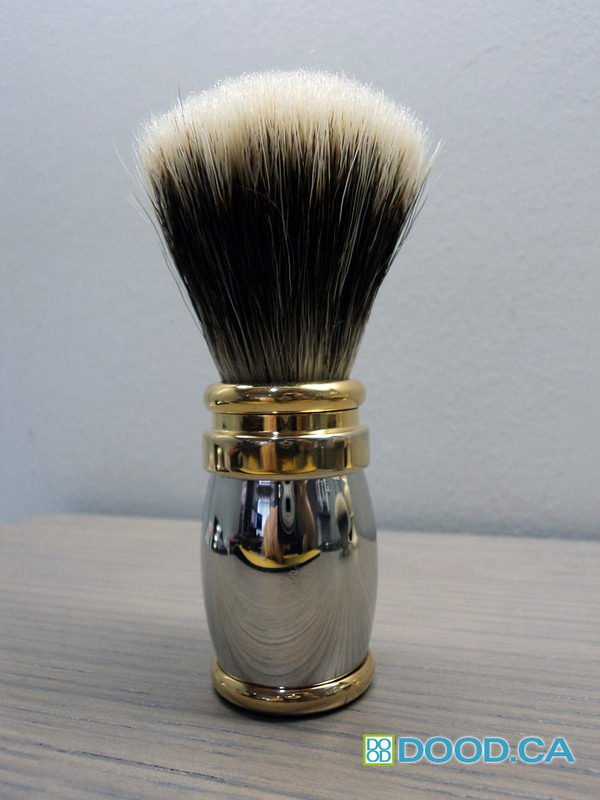 Here’s the beautiful brush mounted with a 20mm TGN Finest Knot in a Fan configuration. I had a bit of a hard time deciding which knot to use because I knew that the way the collar was designed I wouldn’t be able to set the knot deeper to get a shorter loft. In retrospect, maybe a fan wasn’t the best choice but the TGN Super Silvertip was going to be a bit too floppy for me mounted this shallow. The construction of these handles is incredible. They are actually screwed together with multiple piece construction, a much more costly way to make things. This does allow Joris to use different types of Cores as they offer handles in wood, stainless steel and other interesting materials as well. On my brush here, the caps that are gold plated appear to be Brass, while the middle piece is stainless steel. I was able to polish up the stainless steel and get a fantastic mirror finish again. The knot is actually mounted in a collar, which is screwed down with a cap. The original knot was a slightly larger one, which I believe was placed into the collar which was then clamped onto the knot. Since the collar was already clamped into, I had to drill and chisel out the old knot and replace with a smaller one that would fit in the reduced section. I then slowly filled in the gap with clear epoxy to get the new TGN knot secured inside the collar. After the epoxy dried, I was able to screw the color back into the three-piece base, and have a fantastic brush with an out-of-this-world Joris handle! I am really happy with the outcome of this particular project. The Joris handle probably cost me about $45 plus $20 for the knot, but I have a great new brush now that cost me a lot less than the $300 or so a Joris would have. Here are the separate pieces of the Joris handle in case you’re interested in seeing the neat construction that these use. 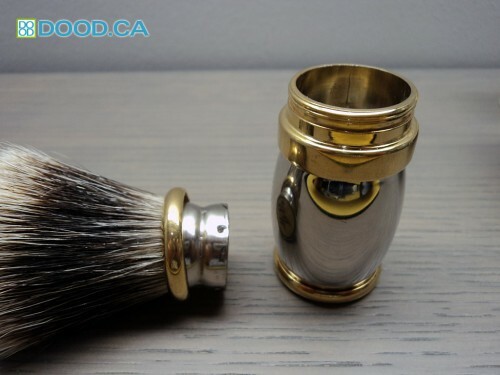 I’ve never seen a multi-piece brush like this that is screwed together and so intricately crafted. Reminds me a bit of a three-piece Watch construction. Hope you enjoyed the article! 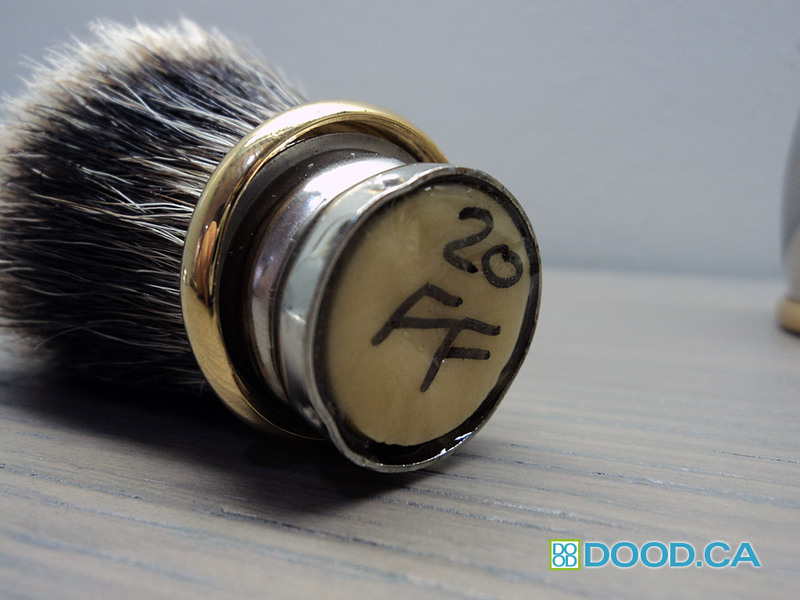 This entry was posted on Wednesday, August 14th, 2013 at 1:36 pm	and is filed under Custom and DIY Shaving Brushes. You can follow any responses to this entry through the RSS 2.0 feed. You can leave a response, or trackback from your own site.